Deborah Neeves from St Edward’s Catholic Primary School, Sheerness was awarded the Optivo Natures Champion award at this year’s Kent wildlife trust’s ‘Wild about Gardens’ ceremony at Canterbury College on Thursday 25th October. Deborah was nominated for the award by the Kent wildlife trusts judge who visited the academy back in July. She came to see how the children of St Edward’s Catholic Primary were gardening for wildlife in their academy grounds. 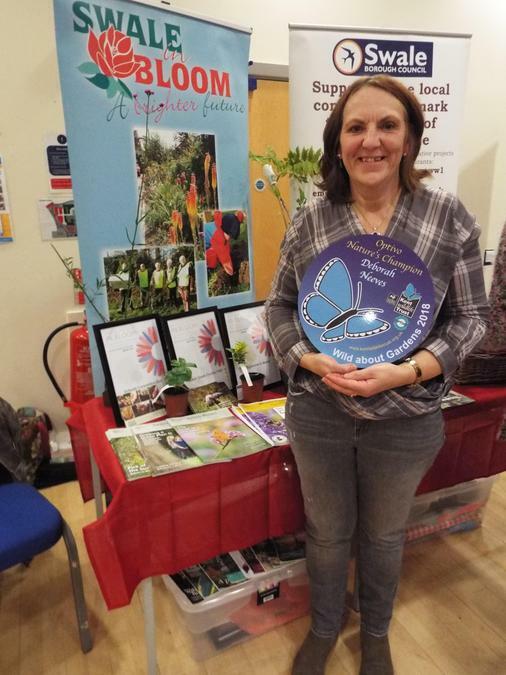 The judge was very impressed with Deborah’s commitment and determination in a year when the academy had gone through many changes and her encouragement in getting the children to engage with nature. St Edward’s Catholic Primary won a bronze award for their wildlife gardening efforts.